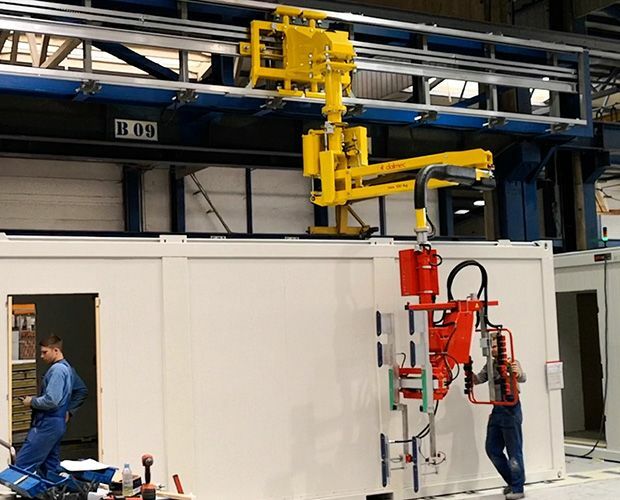 Manipulator Partner Equo mounted on a overhead tracking system positioned vertically, equipped with tooling for handling doors. The tracking system is composed of two opposite U-shaped aluminum profiles with connecting and stiffening ribs, complete with attachments for the anchoring to the structure and end buffers. The various parts are jointed with screws. 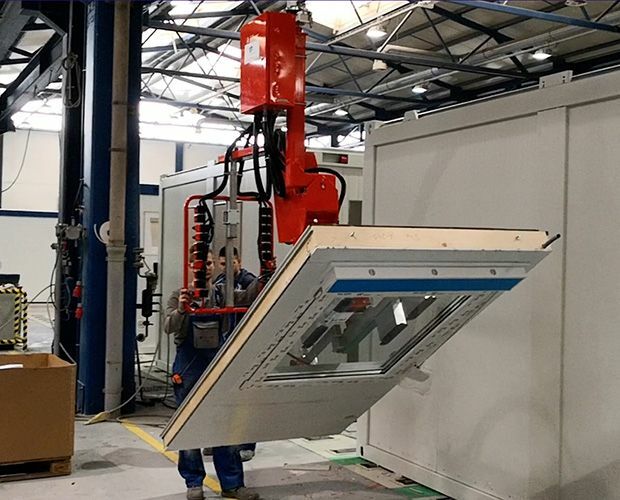 Dalmec suction cup gripping system combined with Manipulator Partner Equo allows the gripping of doors of various sizes placed in a horizontal position, their rotation and inclination and to place them on the assembly point. Dalmec is present in companies all over the world. Dalmec engineers and consultants have the necessary know-how to work with you during the whole process, from conception and design to the implementation of a new sector solution with yous new handling system. Every project is developed according to the instructions given by the Directive 2006/42/EC on machinery and carrying out a careful and systematic risk analysis.